Trancas Films and HalloweenMovies.com are proud to announce the HALLOWEEN FAN FILM FESTIVAL, taking place this October. Fan-made films have long been an important part of the diverse tapestry that is the HALLOWEEN universe, and this fall we are celebrating these works with a month-long film festival on our site. In addition to a platform for filmmakers to have their work seen by hundreds of thousands of fans, it is also a competition, to be decided by viewers, to crown the best full length and short form fan films. Films will be broken into two categories: FEATURES (60+ min. ); and SHORTS (1-59 min.). The top two features, and the top four shorts will earn prizes, and will become permanent fixtures at HalloweenMovies.com for millions of fans to enjoy in the coming years. There is NO CHARGE for filmmakers to submit their films. The call for entries opens August 1, and will close on Sunday, September 30. All films will be uploaded to our Halloween Network YouTube page. Once the call for submissions ends on September 30, I will go through and sort what we got, laying out a month-long schedule for them to run in October. The idea is to have two a week or so, based on the number of submissions. Voting will be based on number of LIKES on the YouTube page for each one. Winners will be announced on Halloween night, and added to a special page on the site. 1. Films must be submitted as files, as we will be adding them to our HALLOWEEN Network on YouTube. Send files via a download link, or large file transfer service (WeTransfer.com, for example) to justin@halloweenmovies.com or click the “Submit Now” link at the bottom of the page. Do not email links to any pre-existing YouTube post of your film, and do not post links here or at the HalloweenMovies Facebook page. The links will be deleted to keep things fair for everyone submitting. 3. Films should involve the HALLOWEEN universe/characters we all know, or at least be related to the series in some manner, but cannot contain clips or music from any existing HALLOWEEN films, but you can include your own variations on the theme as long as you do not ever make your film available for sale anywhere. Please be aware that any uploads which contain intellectual property infringements will immediately be disqualified. 4. This Film Festival is not meant to encourage dangerous techniques when in production. Please BE SAFE and use any and all precautions when making your fan films. Avoid potentially dangerous things like real knives, and do not attempt to reenact stunts from any of the HALLOWEEN films. The Film Festival (or entity names) will not be responsible for any resulting injuries and cannot be held liable in a court of law. Engaging in production of films is at your own risk. 5. Submission of your film constitutes implied acceptance of any and all terms and conditions presented. Filmmakers may send a cease and desist letter to Film Festival. Legal release/disclaimer stating the above will be forwarded to filmmaker upon submission. Signing the release is a prerequisite for entry into the contest. Today’s FFOTD is a spooky little number from Director Dave McRae. McRae’s, Halloween-Black Eyes, manages to capture the fear and suspense of John Carpenter’s original 1978 film and cram it into a bite-sized fan feature. So turn off the lights, lock the doors, and enjoy……. Blinky Production’s Chris Notarile returns to Haddonfield with his latest Fan Film, Halloween -Season- Consume!! 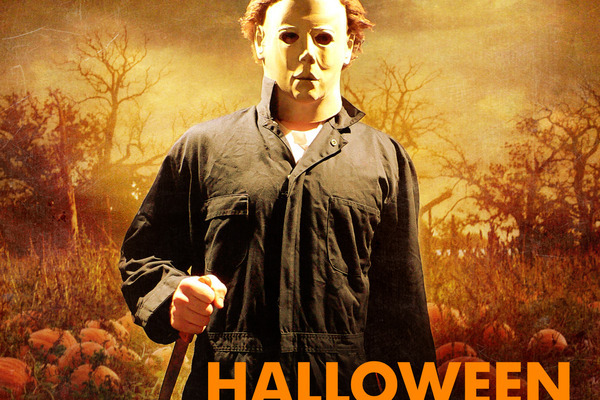 “Halloween (Season) is a non-canon atmospheric look at the stylistic world of Haddonfield and it’s my evil resident. Michael Myers, one of the world’s most famous and deadliest slashers to ever exist, can best be classified as a thrill killer: A predator who finds excitement in the art of hunting and stalking prey. This looks awesome, check out the trailer! Red Shirt Vs. The Zombie Granny! A Fan Film Of Sorts..